This is a quick-start guide to get you into weight training over a one month period of steady progression. The article details what to do leading up to day 1, and then on to day 30. Your goal by day 30 is to execute 9 different exercises with 3 sets of 12 repetitions for each exercise. Ask a gym instructor for assistance if necessary. Make sure you are medically fit for exercise. If you've not exercised for a while and you're over 35, or you have a medical condition, ask your doctor about exercise, especially weight training. Get some comfortable gear and decide where you will do your training—gym or at home. The following guide presumes a gym, but you can modify it for home workouts using dumbbell exercises. You made it to the gym; that's a start. You should begin your first workout with a warm-up consisting of 10 minutes of walking or jogging or other aerobic exercise. Loosen up with a few very light exercises first, then choose a weight that is heavier and that starts to feel somewhat heavier at lift number 12 as your muscles tire. (Weights are not required for crunches.) Rest for at least 2 minutes between exercises. Get some instruction if you need it. Don't over-train at this stage or you will be sore. You only did one set of 9 exercises for that first day to familiarize yourself with the equipment and process. By day 30 you will do 3 sets of each exercise. Even so, if you have not been exercising, and especially if you've not done any weight training previously, there's every chance that you will be sore in some muscles. You will rest for three days then head on down to the gym once more on day 5. If you don't feel sore, you can leave only 2 days between sessions. This will be your rhythm for the next 30 days: a weight training session every 2 or 3 days. Not too short or too long a break will see your muscles and joints well prepared for the 30-day haul. Stop and consult a doctor if you have recurring joint pain. Repeat as for day 1. You will do the same exercises and sets as for day 1 with only one set of 12 exercises in each set. Now that you know how things work, on day 9 you will work a little harder. This day you will increase the weight a little, say about 10-15% or a dumbbell from 10 pounds to 11 or 12 pounds. You should now start to feel that lift number 12 of each set is working you somewhat hard, perhaps 7.5 out of 10 on the effort scale. This day is the same as day 9, except for one change; you don't rest longer than 2 minutes between exercises. You can probably see that this is a progressive build up to day 30, each session adding a little more work and effort by adding weight or reducing rest time. However, you don't want to get injured or too sore or tired to continue. Be sensible according to your starting level of fitness and how you progress. On day 17 you will take a step up with the introduction of a second set of the same exercises. You will do 9 exercises with two sets of 12 repetitions for each exercise. Take plenty of time in between sets and lighten the weight up again if you need to so that you complete all sets and exercises. You deserve a break, so you will now rest for 4 days before the next session on day 22. You should feel refreshed and generally without soreness when you continue. On day 22 we will consolidate with 9 exercises and 2 sets of 12 repetitions for each. Rest less than one minute between exercise sets and less than two minutes between exercises. Your effort should be around 8 out of 10 on the effort scale with that last (12th) repetition. This is it: This is the day you reach your sets and reps goal. Do 3 sets of 12 repetitions for the listed 9 exercises. Choose a weight that takes a 7 out of 10 effort, rest 30 seconds to a minute between sets and a few minutes between exercises. 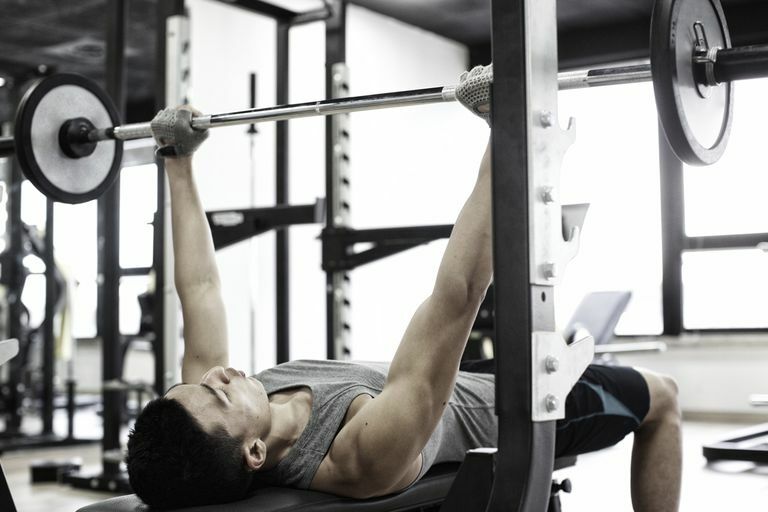 Get a feel for the rhythm of 3 sets of 12 repetitions for 9 or exercises. Once you have that mastered you can move onto more complex, free-weight exercises if you wish. This is your final day of quick-start weight training; you should repeat this regimen every month for the next 6 months because you need that much time for your body to consolidate and then improve on the gains you have made. Six months of training with these exercises will give you a great weight training base from which you can move on to a more sophisticated workout program with different exercises and perhaps more free weights.